A row of solar panels is visible along the top of the roof (left side) in this photograph. 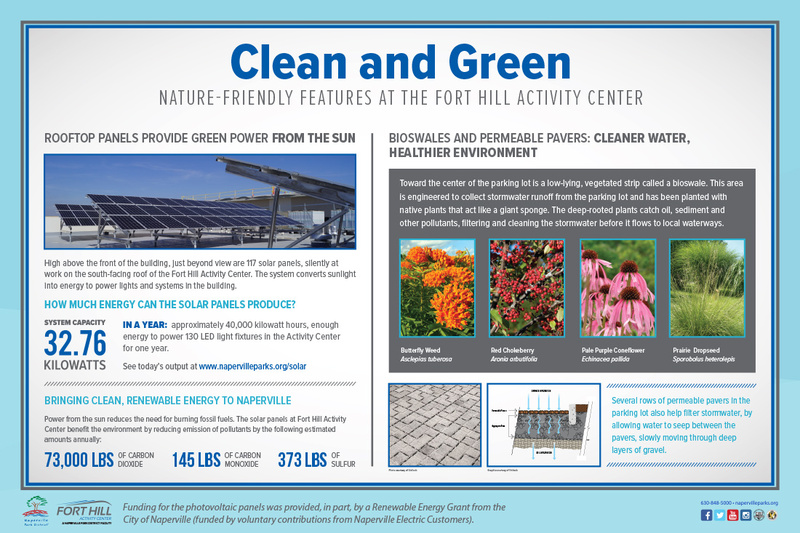 Fort Hill Activity Center was constructed with eco-friendly features that save energy and protect the environment. The sign pictured below stands at the front entrance of the building, providing details about the exterior green features, including the solar panels, native landscaping and permeable pavers in the parking lot. Click here to view live solar monitoring of the Fort Hill Activity Center photovoltaic panels. Fort Hill Activity Center also is saving energy by using LED lighting, natural lighting, an efficient heating and cooling system and added insulation. 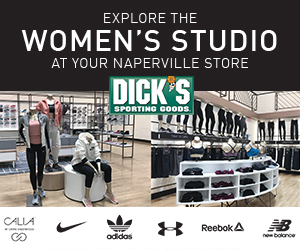 Learn more about the Naperville Park District’s District-wide green initiatives.